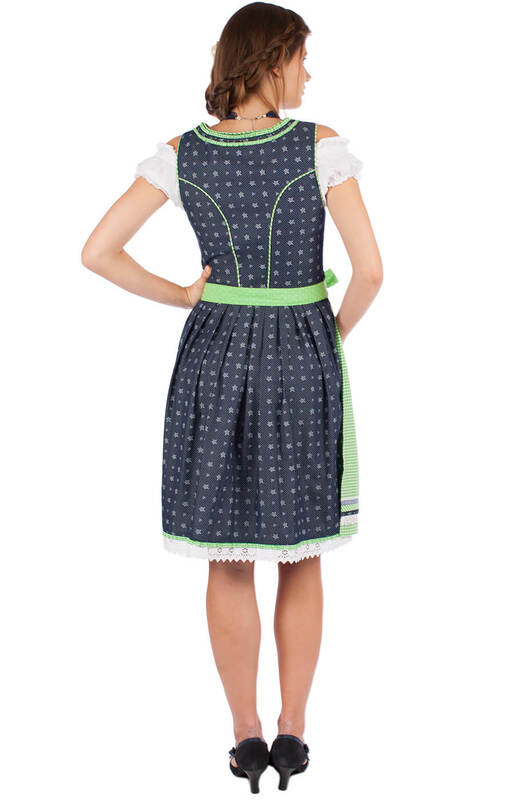 Mirinda two-piece Dirndl 55cm in blue and apple. 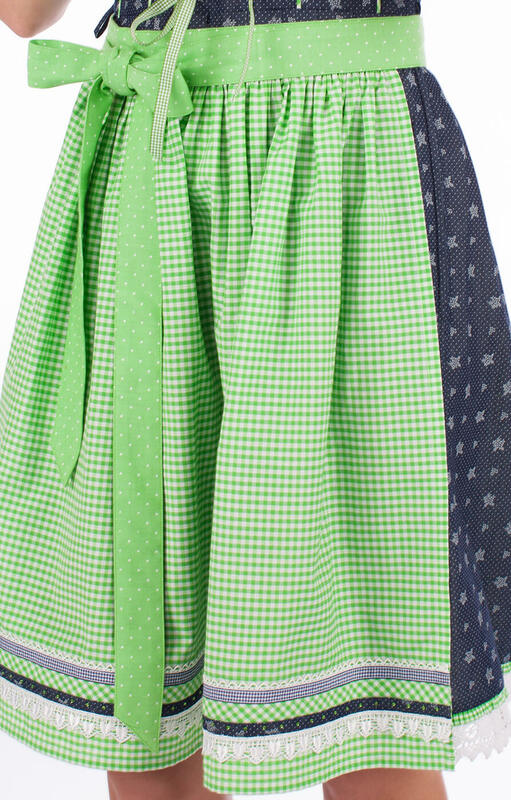 This enchanting Dirndl features a fitted bodice in navy print with green piping, silver bodice hooks and apple ribbons: the full skirt with white broderie Anglaise edging is set off by a gorgeous apron and sash in apple-green check. 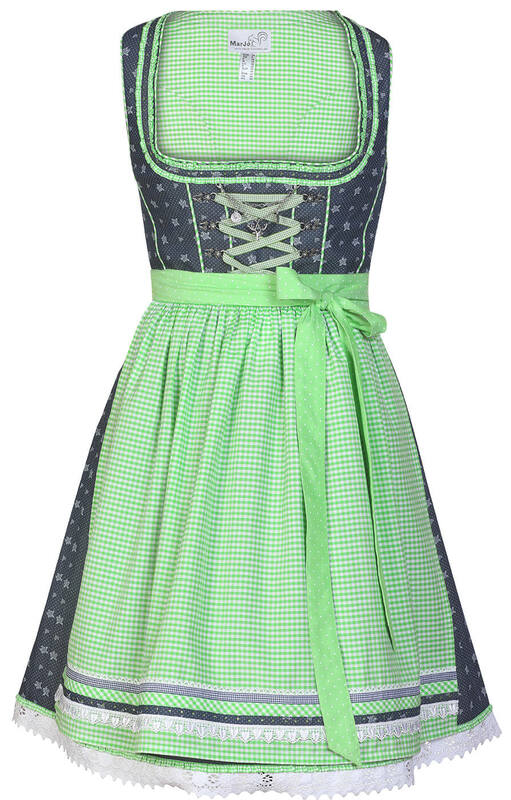 Whether for Oktoberfest or spring festivals, this Dirndl is sure to turn heads. Preis-Leistungsverhältnis stimmt. Bin sehr zufrieden. Qualität des Stoffes ist sehr gut und die Verarbeitung auch. 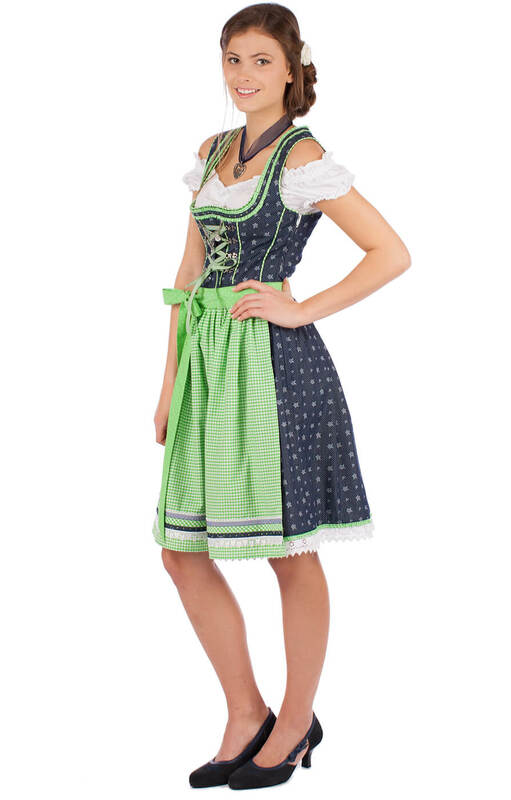 Das Dirndl hat super gepasst (dank Maßtabelle).